A joke that the reader can experience in all its gravity in this book. Historical and practical information together with numerous illustrations and maps will help interested visitors and inhabitants of Vienna alike to find their way around this former imperial residence and internationally renowned cultural capital. 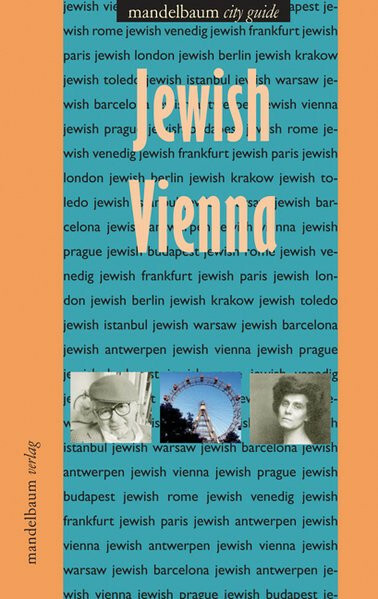 The long and varied history of the Jews in Vienna - from the destruction of the medieval synagogue and the famous coffee houses and even more famous writers of the turn of the century to the new institutions of the postwar Jewish community - paints a picture of another side Viennese life and culture that is nevertheless part of the mainstream. These guides offer historical and practical information on past and present Jewish life in European cities together with cultural pointers and the stories behind the visible world. They also contain addresses, photos and maps to illustrate the past and Jewish life today. Guides on Vienna, Budapest, Prague, Amsterdam, Istanbul, Paris, London, Marseille, Munich and Berlin have already been published. Unser Kommentar zu "Jewish Vienna"